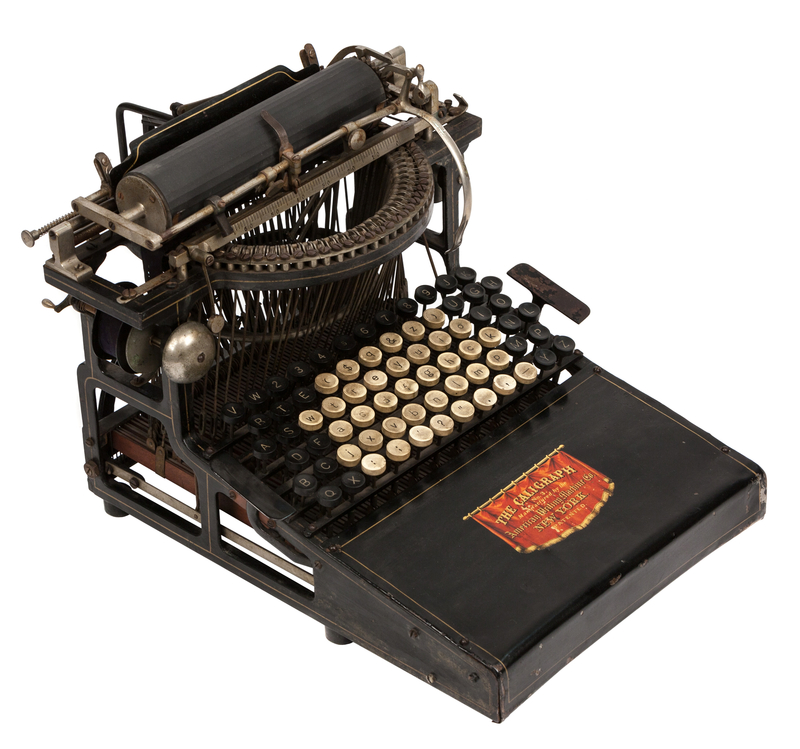 The Caligraph was the second American typewriter to come on the market, after the Sholes and Glidden / Remington. Like the Remington, the Caligraph is an understroke typebar typewriter; you must lift the carriage in order to see what you have just typed. The Caligraph #1 (1880) types only in capital letters, but subsequent models type in both upper and lower case. The Caligraph's lower-case keys are the white keys in the middle of the keyboard; upper-case black keys are on either side. Not an arrangement that lends itself to touch typing! There are two space bars, one on either side. 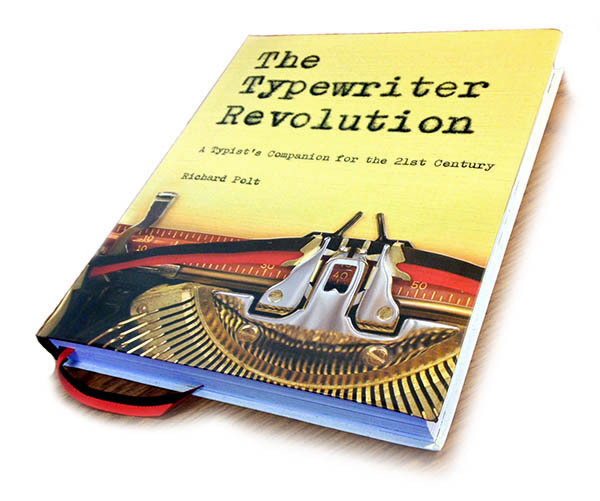 The long extension in front of the keyboard is necessary to accomodate the typewriter's system of leverage. A curiosity of one of my specimens is that it has an underline instead of a capital Q. Was the typist expected to form a Q from an O and a comma? 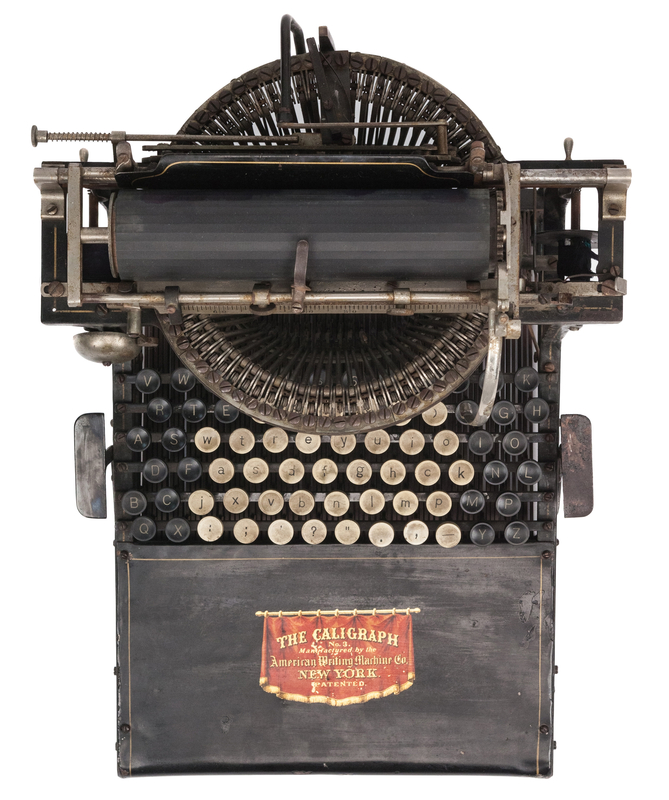 The Caligraphs were produced beginning in 1881, designed by the same man who later produced the Yost typewriter. There was an earlier model no. 1, which had less keys but was essentially the same design. In the eighteen eighties, the Remingtons and the Caligraphs carve up the market between them, with the nonconformist Hammond close on their heels. In 1887, Yost packs it in and, with his own company, brings his own machine onto the market: the Yost.